I have three skate boards in this show and am in the company of some talented artists. In addition to celebrating the art on opening night, there was also a good bit of shenanigans. 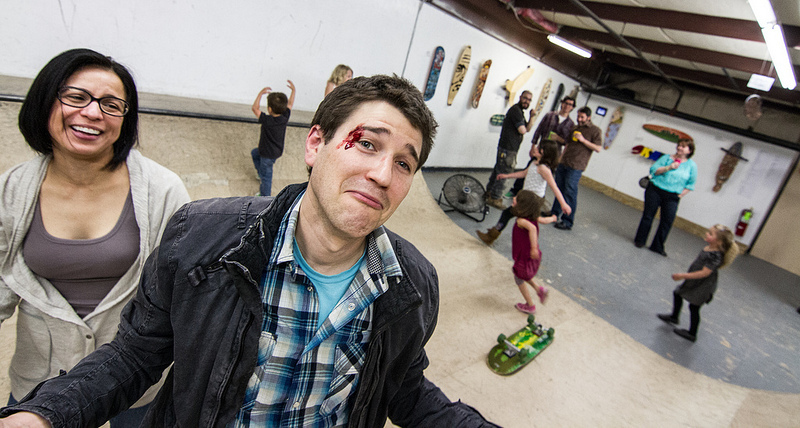 It is a skate park after all. Folks brought their kids (of all ages). Myself and a fellow cohort put on our roller skates and tried to figure out how roller skates can work on a mini half pipe. Niko Tavernise’s 65 pound bullet board got a ride. There was even an injury! This show will run for a while (there is currently no end date) so stop by for a visit. 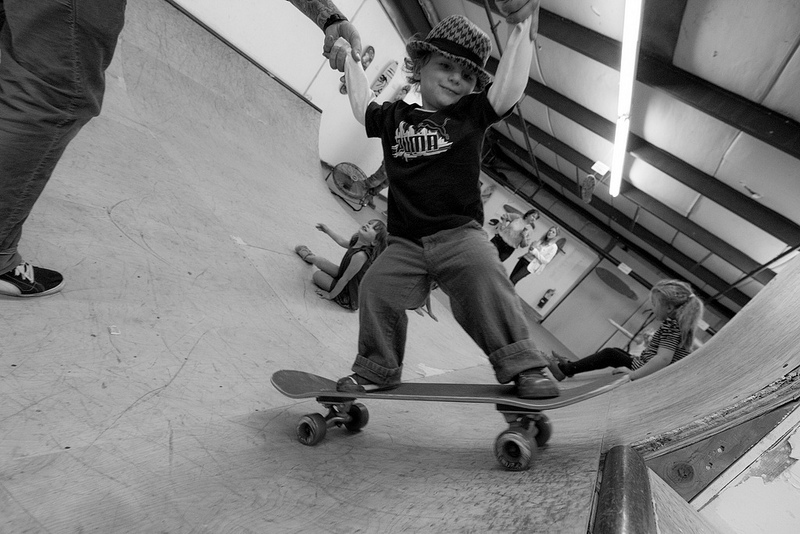 2nd Nature is also a skate shop and conducts classes for kids and adults on Saturday mornings. 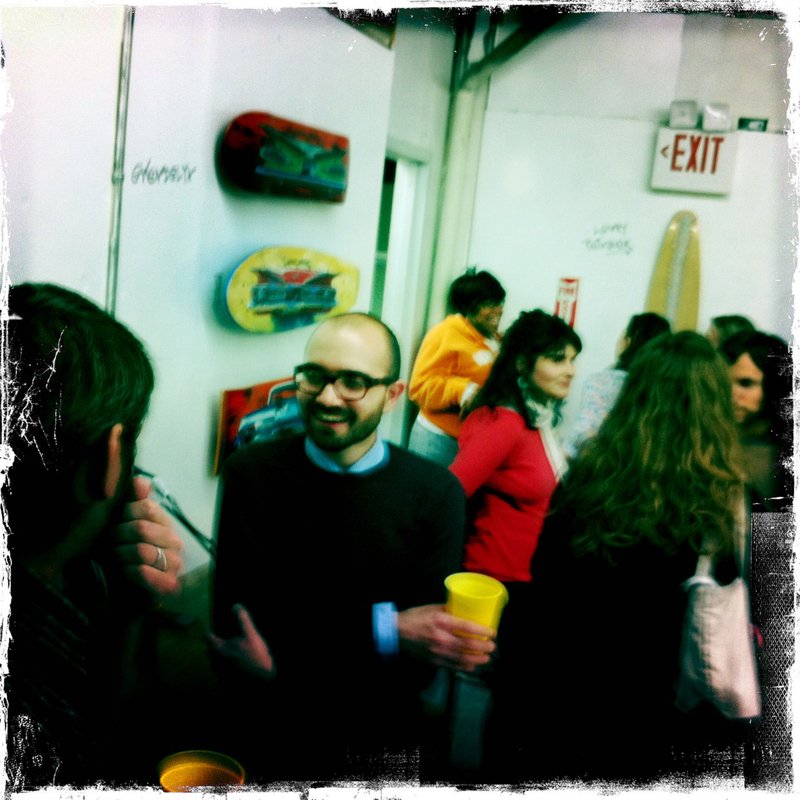 Next postPeekskill Open Studios is this Weekend!